Describe your dream Chile tour. 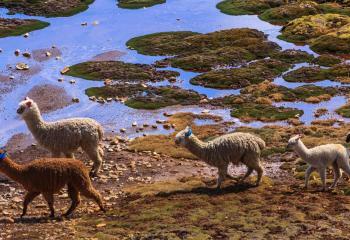 Let the magnitude and diversity of Chile's landscape enrapture you. The Pacific Ocean tumbles onto the vast sands as lush vineyards stretch through valleys. Opulent saline deserts contrast stunning blue glaciers. In the sparkling cities beside lavish nature, or within the heart of the scenery itself, there is no doubt that Chile will captivate you.